3310 W. 76 Country Blvd. 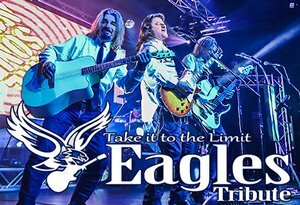 If you loved the eagles music in the 70's you'll love this show! With Dynamic, Powerful Voices and Impeccable Harmonies you'll be jumping out of your seats by the end of this show! Now in their 10th Season in Branson, Take it to the Limit continues to bring audiences to their feet! The Eagles, still out touring, continue to sell out huge arenas all over the world and Take it to the Limit continues to fill their their Theatre with the same crowd of die hard fans.